When I bought petunias last weekend I noticed that they were in bright pink containers; I wondered if this might be a trademarked color. 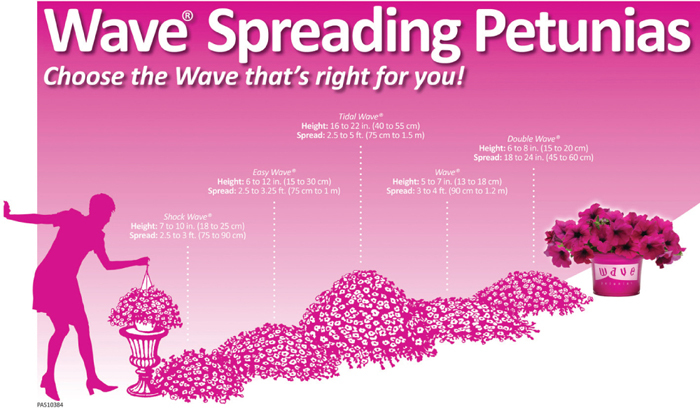 A bit of digging (no pun intended) and I found that in fact the bright pink packaging is a trademark of the Wave Petunia. 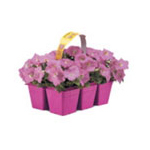 Since pink is not a color typically seen for plant packaging it stands out making it easy for consumers to identify this particular company’s plants. 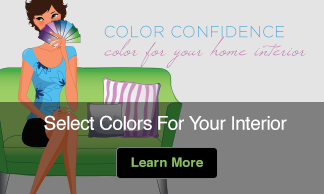 This is another good example of how color can identify and differentiate a brand. 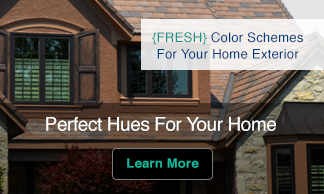 When you think about adding a wave of garden color, think pinks!